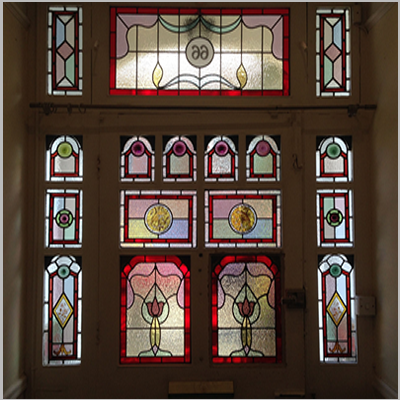 Restoration of a tower and entrance hall of a derelict Victorian Hospital. 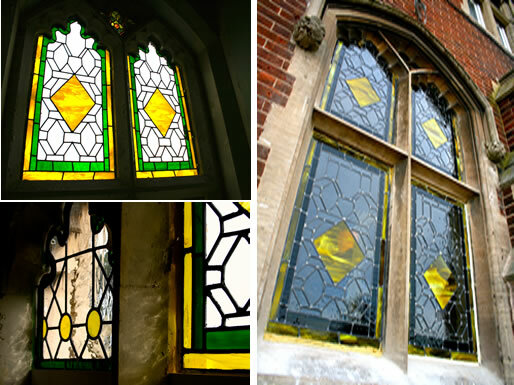 The design calculated to fit in with the impressive neo-Gothic style of the original architecture. Bold, powerful and yet playful entrance hall design inspired by the Italian Futurist Movement, with a contemporary touch. 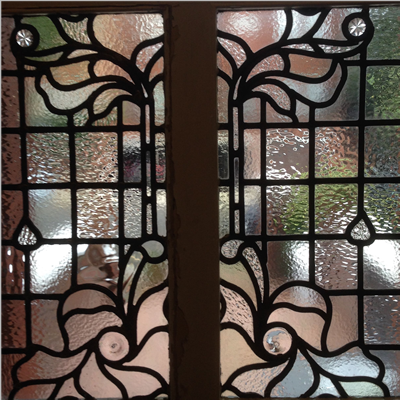 A juxtoposition of of organic and linear designs for a window in Hampsted. 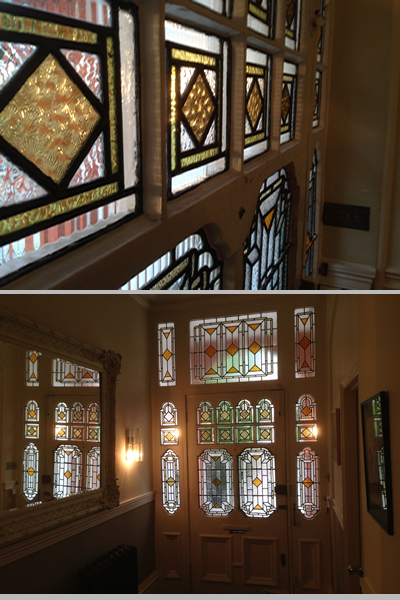 Two landing windows designed for a modernisation of a large Victorian villa on Putney/Barnes borders. 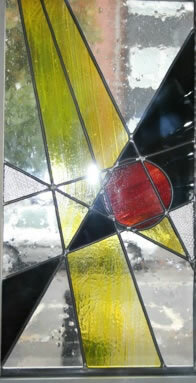 2.5 metre tall top landing window designed to be a centre of the house, and its visual focus. 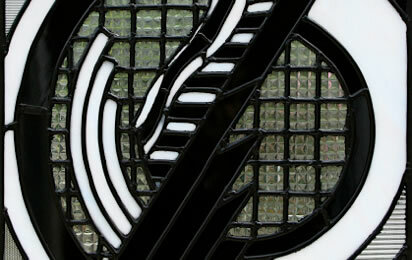 Smaller window on the landing below created in order to lend a visual unity to the whole project. An imposing entrance hall of a Hampstead Town House. 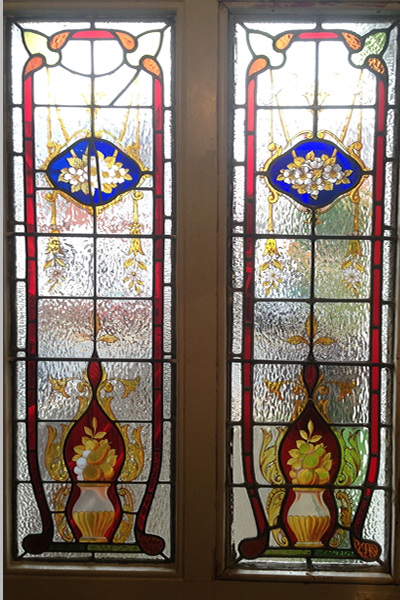 Thorough restoration of beautifully painted front door panels. Sympathetic restoration of an imposing entrance to a victorian Villa. 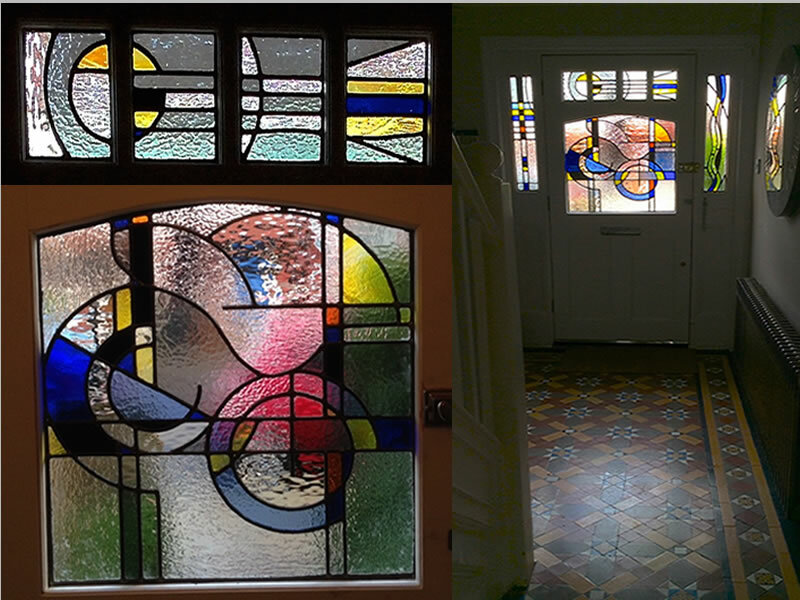 This three-panel transom has an Art Deco influenced design that contrasts with, yet cleverly complements, a traditional space above an Edwardian front door. 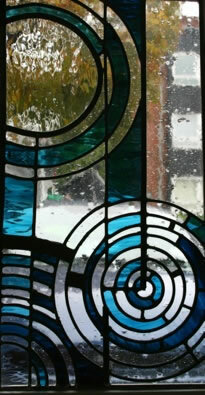 Simple geometric panel - inspired by Pascal’s mathematical theorem. Designed for high end bathroom showroom. 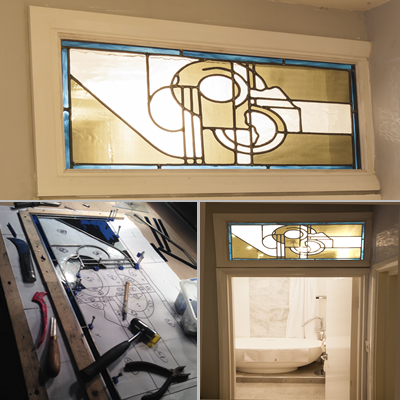 This Bauhaus inspired window was designed for a high-end bathroom showroom. The design allows privacy while allowing the viewer inside to see the space outside. 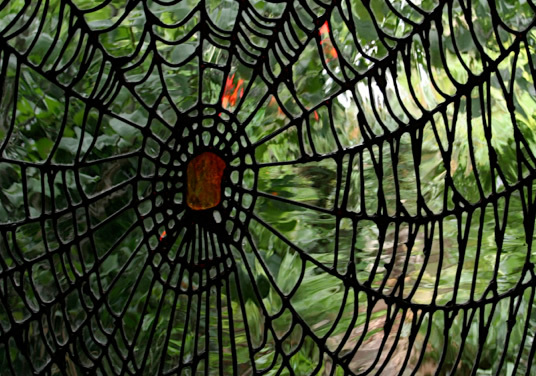 Consisting of more than 600 irregular pieces of water glass, this is one of the most complex panels of art glass I have ever created. It was designed for a woodland setting where it makes the unwary visitor halt, draw a breath...and stare. 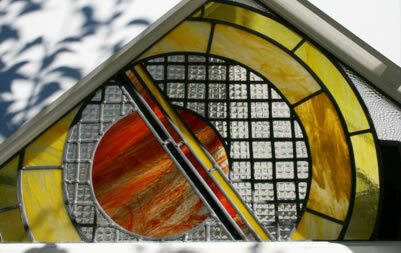 Located at the apex of a modern conservatory, this piece draws the eye upward to a triangular portico making it the focus of the visitors’ gaze. It lends the room character and bathes the area in ever-changing warm light. The uneven lines, soft colours and shapes were created with the owner’s Norfolk cottage and its surrounding landscape in mind. 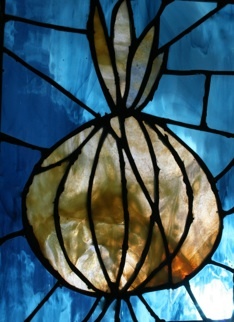 The rustic feel of this piece is achieved using the copper foil technique and fused glass. Influenced by the Bauhaus Movement this work was designed to give drama character to an otherwise unremarkable modern setting. Using many different types of textured as well as smooth glass, in true Bauhaus style its appeal lies in the functionality and simplicity of the design. 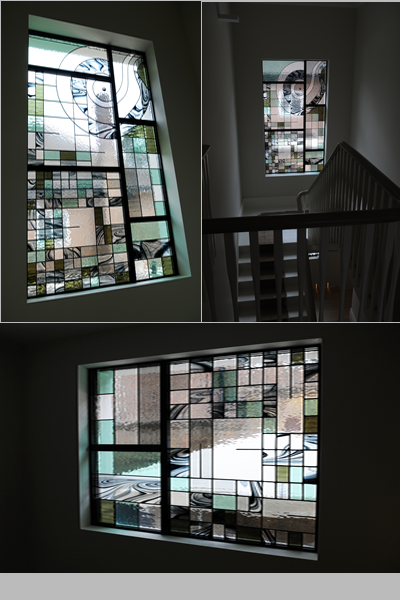 Every stained glass work by DEKO STUDIO is made to a unique, bespoke design, created to enhance its specific architectural setting. To find out more email Tomasz@DekoStudio.co.uk or call 07962 414 900.